My first is a creature whose breeding is unclear. My second, a price you must pay. My whole can be found in the river of Time and refers to events of today. What am I? 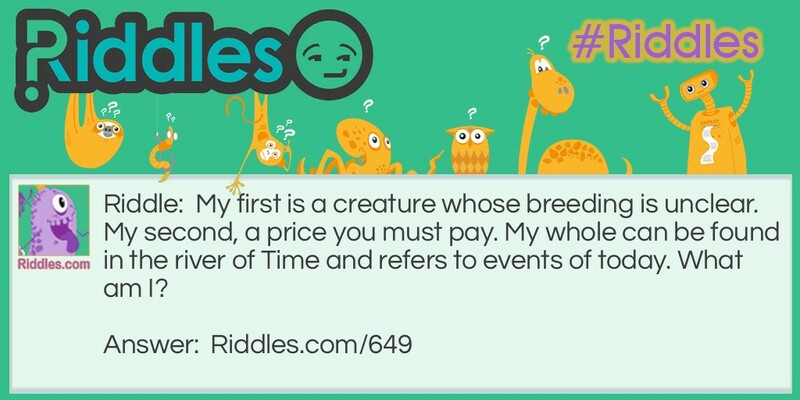 Events of Today Riddle Meme with riddle and answer page link.